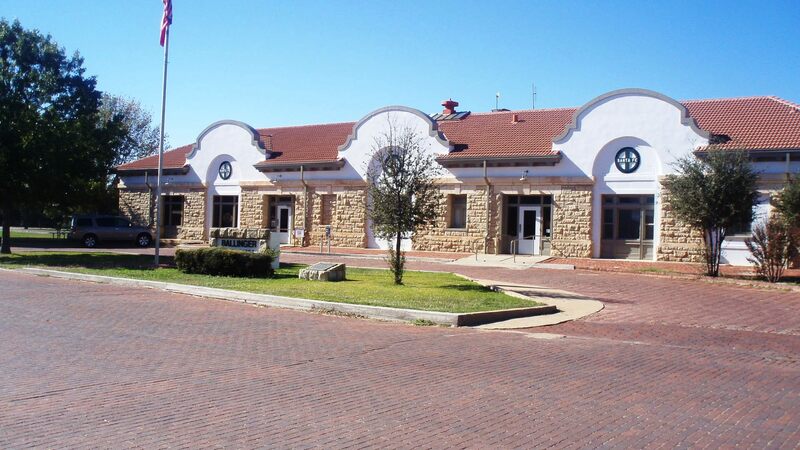 The Santa Fe Depot was built in 1911 by the A,T,& SF Railroad, renovated in 1983 and now houses the City Offices and Chamber of Commerce. The Cross was erected by the Jim and Doris Studer Family as a thank you to God for all the blessings bestowed upon them during their life, particularly the time they have been in Texas. The Cross belongs to everyone who believes in Christ and that He died and rose to save us. It stands as a reminder of the love He has for us. It is the hope of the Studers that those who view it may pause a moment to also Thank God for their many blessings. Construction was by Steve Jansa, of Jansa Construction, Rowena, Texas. It was erected October 6th and October 7th, 1993. There was a Multi-Faith Dedication November 28, 1993. For additional information, please call the Chamber of Commerce, (325) 365-2333. For more pictures and information about The Cross. 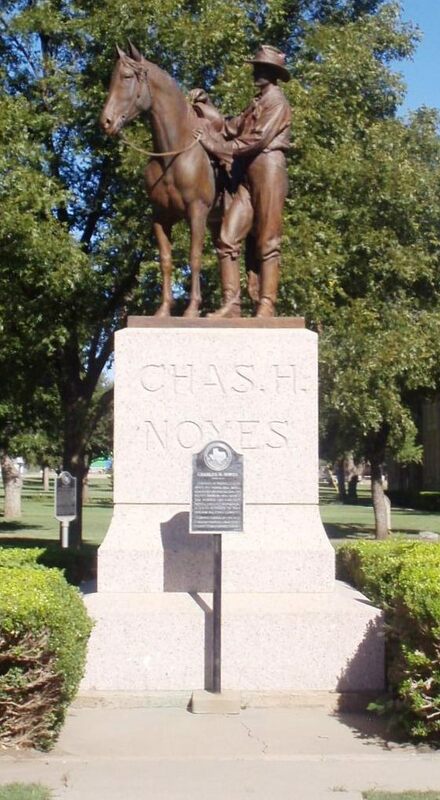 The Charles H. Noyes Statue, sculptured by Pompeo Coppini, stands on the courthouse lawn, and is dedicated to the “Spirit of the Texas Cowboy.” For more information about the Charles H. Noyes Statue. Completed in 1911, The Carnegie Library is one of 34 library buildings funded by Andrew Carnegie. It is one of only four of those still in use as a public library. 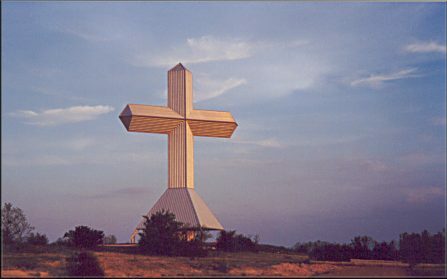 It was recorded as a Texas Landmark in 1962. Carnegie Library Website. 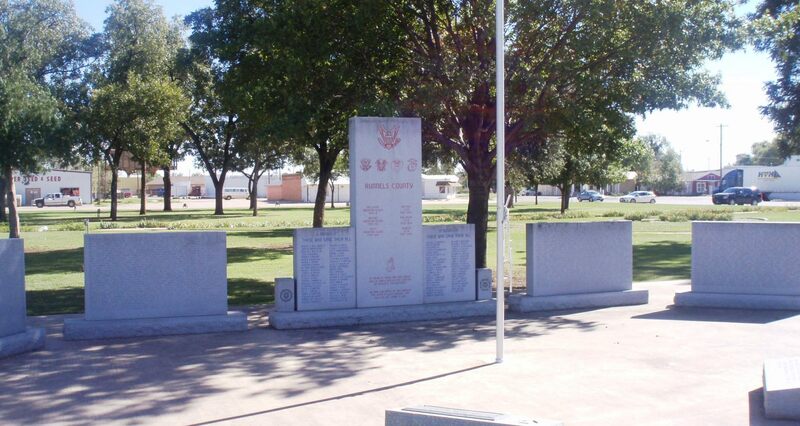 The Runnels County Veterans Memorial on the Runnels County Courthouse square honors those from the county who have served in the United States Military. The monument has seven stones. The larger centerpiece describes the memorial and the two immediate side pieces have the names of those killed in action. The other four stones contain the names of those from Runnels County who have served in the armed forces. There are more than 1,550 names on the monument and room for another 700 names. The monument was built by donations. 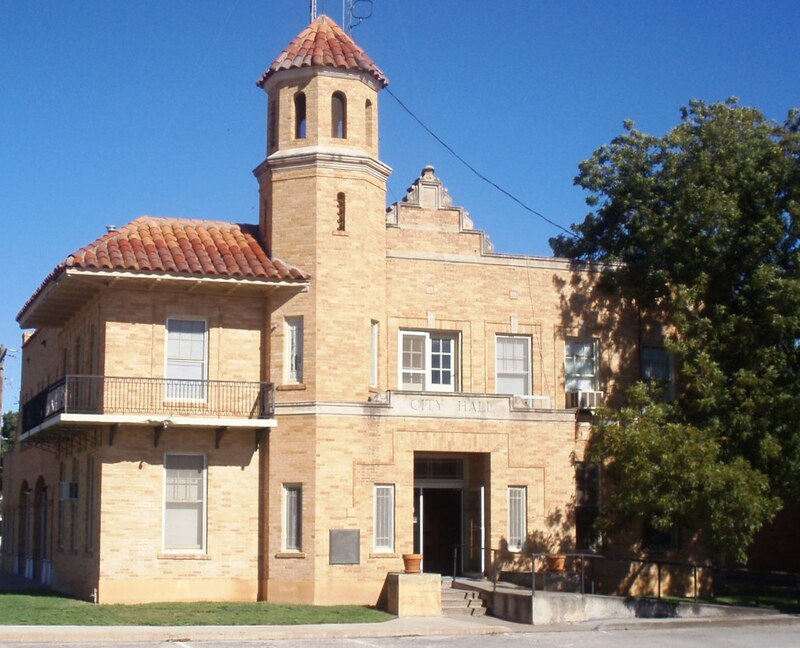 The building was constructed in 1930 to house the City Hall and Fire Station. To day it is still the main building to the Fire Station. It now houses the Ballinger Police Department and Ballinger Municipal Court. In 1916 Ballinger purchased it’s first motor driven fire fighting equipment. This restored 1916 American La France is on display. The Ballinger Fire Department has two paid firemen on duty with an average of 30 volunteer firemen. The Pioneer Plaza is Ballinger’s award winning Bicentennial project. 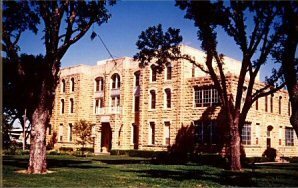 The Pioneer Plaza is located down town Ballinger across the street from the Town Square and Runnels County Court House. The Plaza offers a refreshing stop for tourist. 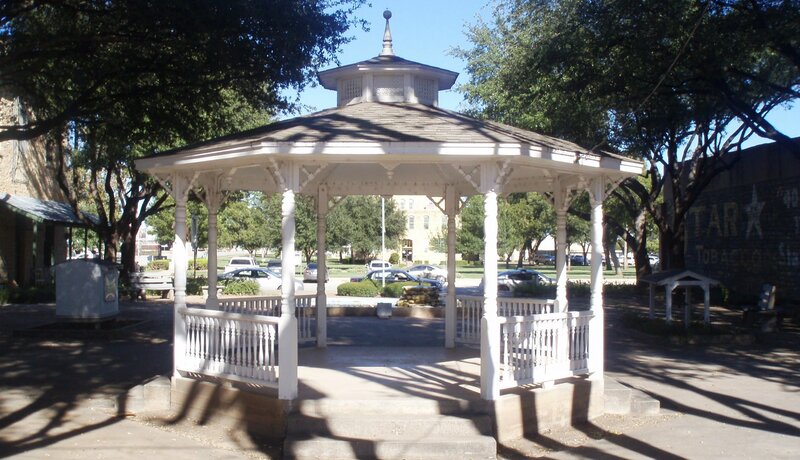 The Plaza has benches , trees, Gazebo and lighted fountain. The Plaza was made possible by donors who names are on display.The 1907 Star Tobacco Sign was discovered in 1979 when the plaster was removed the building next to the Plaza. It has been restored to a remarkable replica of the original of the 1907 era. The original three story stone structure was built from stone on the Charles Willingham farm on the south side of the Colorado River. At a cost of $29,015 the construction process stated on October 1, 1888 and was completed in October 1889. The three story structure served county needs from 1889 to 1941. With the need of new space a renovation was ordered and a two story wing was added to each side of the courthouse. The interior was completely renovated and a elevator installed. Using stone from the same quarry used in 1888 the 1941 renovations and additions cost $65,000. 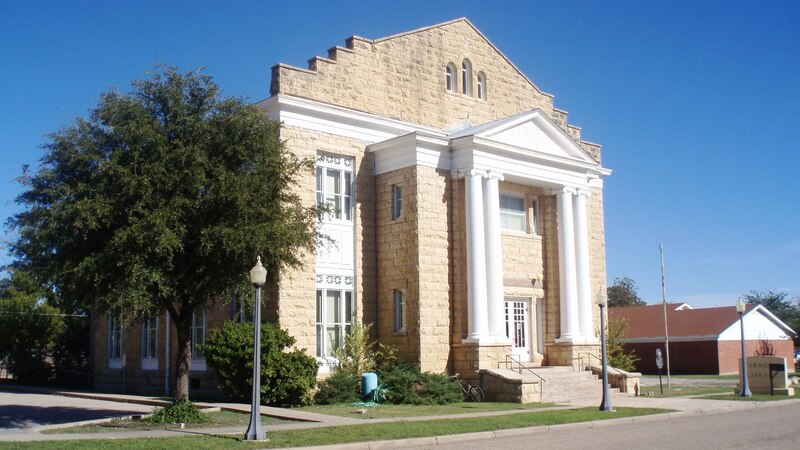 The Runnels County courthouse square is one of the largest in the state of Texas. and plays host to the state wide famous Ethnic Festival every year. We are very proud of our clean and well maintained Recreation and RV Park Areas. Public restrooms, picnic areas, and barbecue pits are available to visitors.